Ryan Beaver is a fast-rising star in Texas Music who effortlessly straddles the line between traditional country and contemporary themes. 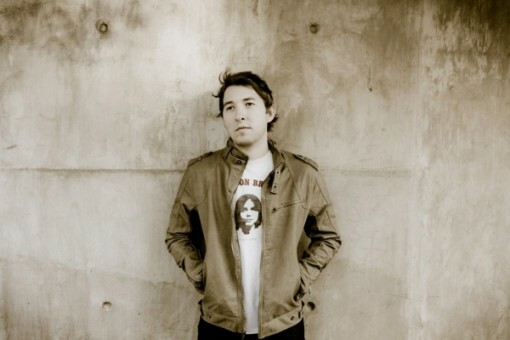 He has recently released a fantastic new album, Constant, and is poised for a breakout 2011. This edition of 20 Questions finds Ryan talking about working with Lloyd Maines and David Grissom, the blessing and curse of his last name, and what Irish drinking song should be added to his setlist. 1. You’ve got a great new record coming out called Constant, and you’ve been busy gigging all over the southwest…what’s life like for Ryan Beaver right now? First and foremost life is good and I am blessed. I just released my new album, I’m healthy, and I love what I’m doing. I try to remind myself of that when I get down and stressed. There is no doubt that like many musicians, I’m just fighting to keep doing what I love. 2. Let’s get this out of the way right now, your last name is memorable to say the least. As someone who has also been blessed with a unique last name, I understand some of the challenges it can present. Did you ever give any thought to a stage name? (laughs) It was suggested early on when I began my career, but I have been known as the Beave my whole life. It’s the name I was given and I’m proud of it. People may not walk away remembering Ryan when they hear me, but they will remember Beaver! 4. You make your home in Austin. The traffic’s always bad and the food’s always good. What is your favorite thing about Austin? And what is your least favorite thing about Austin? (laughs) That is a very accurate depiction of Austin. The diversity of music, food, people, and terrain is my favorite thing about Austin…and I’d have to say that traffic is my least favorite thing…by far. 5. What is your songwriting process? Do you schedule time to write or only write when the inspiration hits? This is tricky because I do both. When I started out songwriting, I would only write when I felt inspired but I’m trying to become diligent about writing either way. I feel like inspired moments, thoughts, or feelings make for my best songs but that can happen when you’ve scheduled a time to write as well. The songwriting process is so amazing because of the uncertainty. I could talk about this for hours but I’ll just leave you with what I’ve learned over the years. The easiest song to write is usually when inspiration hits and you follow that muse right then and there. 6. Like you, I’m also a proud alum of Texas State University. Aside from Sewell Park in the spring, what about the school and San Marcos attracted you to attend there? Was the music scene a deciding factor? Eat’em Up Cats! I attended UNT in Denton for three semesters before transferring. I wasn’t very happy and needed to get a new plan. So I left UNT to do some soul searching. I decided I was going to transfer to Texas State to finish school, start gigging, and send my music out to guys like Walt Wilkins, Lloyd Maines, and Bruce Robison. I wanted to find out if my music was any good. San Marcos also had some great selling points like the music scene, girls, and the river. It wasn’t too hard to make my decision but the coolest thing about it was that I followed the plan to a “T”. I graduated with a BBA, played shows, and I heard back from Bruce, Lloyd, and Walt personally, which shows you what kind of guys they are. 7. Before pursuing music full-time you worked at a bank. Bankers hours and musician hours are not exactly the same, but have you noticed any similarities between the corporate world and that of an independent musician? It is very different from banking but there are a few similarities. You have to understand finance whether it’s banking or music. My business is run like any other business at the end of the day. You have to work hard and be good with your customers. 8. Your first record, Under the Neons, featured a nice traditional sound. Your new record features a lot of that same type of style, but has distinctive moments where you seem to have stretched past your comfort zone. Was this something intentional on your part? Did the songs lend themselves to that? Or was it the idea of producer David Grissom? I’ve simply grown as a songwriter, musician, and person. I think that has to be reflective in each record you make. I don’t think it was intentional as much as it was transitional. I just focus on doing what I like and hope others enjoy it as well. 9. Speaking of David Grissom, he is one of the most acclaimed guitar players in Texas or the world for that matter. You got hooked up to him through Lloyd Maines. These are two titans of Texas Music. For those that don’t know, could you explain the story of how you became involved with such heavy hitters right out of the gate? Lloyd called me when I was still in school at Texas State and thought my singing and songwriting was pretty good. It felt great to hear that and we kept in touch over the years. I got ready to make my first record so I called Lloyd to get his input and he suggested David Grissom. I spent a weekend talking music with David and we hit it off really well. I’ve known Grissom for about four years now and he’s produced both of my records. I’m lucky to get to work with such high caliber musicians. 10. You were born on St. Patrick’s Day…ever given any thought to covering an Irish drinking song in your set? And, are you obligated to wear green more than any other color? St. Patrick’s is my day! It’s a hell of a fun birthday to have. I should definitely do an Irish drinking song and Galleywinter should do a poll to find out what that song would be (editor’s note, we will). I like the color green so that works out for me. My logo I’ve been using lately is a shield with a 4-leaf clover over it. It basically symbolizes protection and luck, which is what you need in this business. 11. Your band is full of some very seasoned players despite all of you being rather young. Talk a bit about how you put the players behind you together and what your favorite thing is about playing full band as opposed to acoustic. I feel like I have one of the best bands and some of the best bunch of guys out there. I found everyone basically through word of mouth. It’s tough to explain the chemistry and vibe I have with the guys…it just works. My favorite thing about playing full band is the guys make me sound better than I am and it’s so much fun. They’re pros. -For A While – I get stressed very easily. I wrote this song as a reminder to just let go and have a good time every now and then. Life is too short. -Two Words Shy of Lonely – I use to watch my grandparents argue from time to time and I would laugh and wonder if my granddad ever thought about just walking out the door to make things easier. He never did. -Under the Neons – This song took about 15 minutes to write. I wrote it when I was tired and frustrated after a show back in college. When I got home that night, I grabbed my guitar because I knew I had one more song in me that I had to get out. I think every musician has felt what I felt at some point in his or her career. -Beale Street – Beale Street is the birthplace of the blues. In the 1920’s, it was a crazy and dangerous place to be. I wanted to incorporate the history of the street with a song about a modern day relationship gone wrong and how heartbreak still lingers like the blues played years ago. -South Texas Skyline – I took a trip down to South Texas and came back thinking about the sunset and the idea for this song. I had finally found a place in life where I felt like I belonged and I wanted to write about it using a town as sort of a metaphor. HAHA I doubt I succeeded. -I Shoulda Kissed You – Most people really begin to appreciate something when it’s gone. This song was simply about regret for me. -Let Me Be Your Saturday Night – I wrote this tune with Paul Eason and this song was written pretty fast. It’s basically about a girl that needed something to make her smile again. The guy in the song feels like he can do that. It’s a catchy little good timing song that really grew on me as I considered it for Constant. -Too Tall Jimmy – It doesn’t get more redneck than two guys fighting over whether Ford or Chevy is better. I had to write about this experience and my good friend Jimmy gets a kick out of hearing this too. -One More Song – All I pictured in my mind while writing this with Wade Bowen was how many times I’d walked out of Gruene Hall and wanted to keep the night going after that last song. Some nights you just don’t want to end. 13. As referenced above, your last name is memorable. What is the best merch idea you’ve had that incorporated your name? Any thought been given to selling stuffed beavers? 14. It is 4AM and you’re in the middle of a long haul back home and you stop for gas at a large truck stop. You can only buy one thing besides gas…what would that one thing be? Golden Flake Chips!…the Salt & Pepper Wavy Cut. They’re amazing. The whole band would probably buy Golden Flake brand chips. We love them! 15. If you could emulate anyone’s career, who would it be and why? I’ve always admired Radney Fosters career and thought it would be a good model to follow. He has the ability to play different roles. I really want to diversify my career with writing, playing shows, and producing. -Lubbock – Triple J Chophouse, drink at Chimy’s, playing the show, and then grabbing some BBQ from Big E’s is our routine in Lubbock. Not following that plan just doesn’t feel right. -Corpus Christi – Grabbing some seafood, walking around the bay, and playing to a great audience…and of course there is always the two story Whataburger waiting late night if you’re hungry. -Dallas – Not my favorite memory but one of my worst. I had my trailer stolen from a hotel a few years ago in Dallas after playing Gilley’s the night before. It taught me more than I wanted to learn from one experience. -Waco – We played one night at Wild West and it was pouring down rain all day. I didn’t think anyone would show up but about 450 people showed up and had a good time. -Austin – It’s our hometown so we get to see all our friends and family, play a show, and sleep in our own beds. -College Station – Playing with Kyle Park at the Hall Of Fame for like 2000 people was really fun. He’s come a long ways since I met him around 2005. -Houston – I’m about to play a show acoustic with Radney Foster just outside of Houston in the Woodlands. I’m looking forward to it because I’ve been a fan for a longtime. -San Marcos – I started my career off playing in San Marcos. This town gave me the foundation for what I’m doing now. Sitting in with Wade and Randy for a couple of songs at Cheatham for the Hold My Beer acoustic tour was really memorable for me because I felt like they had given me a little nod of approval. -Wichita Falls – The band and I headed back to the hotel after a show one night and found a life-size replica of the liberty bell parked out front. Even though it was 3am, my guitar player decided to ring the hell out of this huge bell. It was hilarious and we have it on video somewhere. -Oklahoma City – I’ve only played in OKC one time at the Wormy Dog but we had a few people out and I met a couple that had driven from Denton just to see us play. That made my night. -New Braunfels – One of my first few gigs after I put out the Neons record was playing Gruene Hall. I’d always wanted to play that stage and it was an awesome night. -Huntsville – The band and I rang in a New Year in Huntsville. We had a good time like we always do. 17. You’ve gotten to play gigs in some cool places and with some cool bands. Without naming names, what is the coolest thing another band has done for you? Also, what’s the flip side of that…could you describe, again without naming names, who treated y’all the worst? One of the coolest things a band has done for me has been to give me a few of their extra hotel rooms and maybe give me a few extra hundred dollars for being a part of their show. The worst thing a band has done is not say a word to me or my band, take five hours to sound check, which left us no time to do so. Then, during the show, we see the lead singer decide to take a piss on my drummers gear because he didn’t want to walk to the bathroom. I guess it was a little too crowded out there for him. 19. What is your favorite George Strait song and why? I like to break George up into old and modern. For Older Strait, it has to be “You Look So Good In Love”. I’m not a fan of the talking part but I always felt like that song was so well written. It’s a great country song. With Modern Strait, I’d go with “Run”. Fantastic melody and great lyrics…love it. 20. In your opinion, what makes your music unique? I think I have a unique voice and my focus is always song first. I can honestly say that there are a bunch of artists and very talented people out there doing this but they don’t put the focus on the song. Your dad sent me the link to this article. Pretty cool!!! It just so happens I have a pretty good connection with Jason’s Deli, I will have to let him read this article as well. Be Safe. I am shocked why this twist of fate didn’t happened in advance! Esse é a benignidade dos construtores de websites. krxODt Im thankful for the blog.Thanks Again. Great. I simply want to mention I am all new to weblog and absolutely enjoyed you’re blog site. Almost certainly I’m likely to bookmark your site . You definitely have really good articles and reviews. Many thanks for revealing your web-site. Thanks a bunch for sharing this with all folks you really understand what you’re talking about! Bookmarked. Kindly also visit my web site =). We may have a link exchange contract among us! Just wish to say your article is as astounding. The clearness in your post is simply cool and i can assume you’re an expert on this subject. Fine with your permission let me to grab your RSS feed to keep up to date with forthcoming post. Thanks a million and please continue the rewarding work. Hey There. I found your blog using msn. This is a really well written article. I will make sure to bookmark it and come back to read more of your useful info. Thanks for the post. I will certainly comeback. wonderful points altogether, you simply gained a logo new reader. What may you recommend about your post that you just made some days in the past? Any sure?